I've been thinking of doing recipe posts for quite a while now. There have been so many meals that I've absolutely obsessed over for a few weeks and then completely forgotten about when the next one comes along. Then there are all of the delicious things that Michele teaches me to make. I manage to keep them in memory for a month or so before the quantities and process are lost to me forever. (Well, until the next time he patiently accepts me as a rather hapless student to his cookery school anyway). 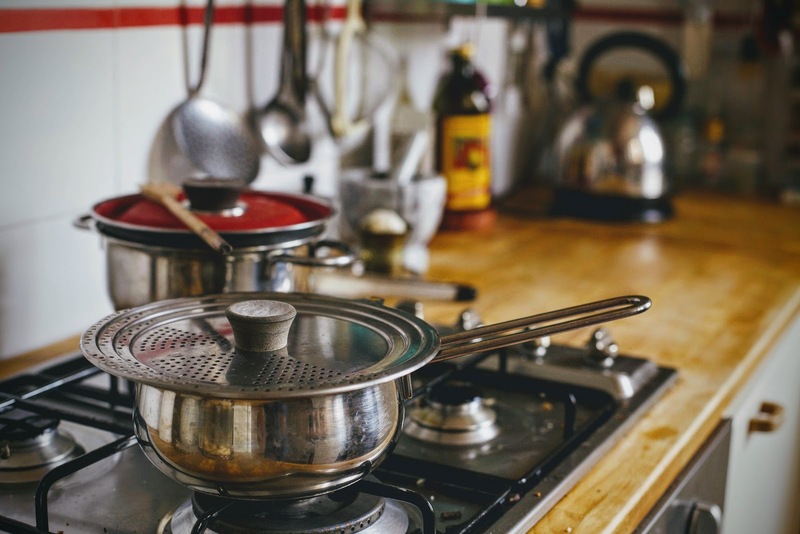 Speaking of cookery schools (although now we're talking actual, real cookery schools), I've been invited to share a recipe as part of Exeter Cookery School's latest competition. They opened up last year on the quayside, one of Exeter's prettiest spots, after sixteen years of teaching cooking lessons in France. With credentials like that, I've often perused their course offerings with a view to either book one for Michele as a gift (what else do you get for the foodie that has it all?!) or urgently update my own, very limited skill set. Now that they've invited me to create a recipe (with the hope of winning a cooking course, fingers crossed! ), I'm hoping that this will be the start of a regular habit of recipe-sharing. It was so much fun coming up with an idea and (rather haphazardly) putting it together. I wanted to create a recipe that mixed Michele's Italian heritage with seasonal and British flavours. 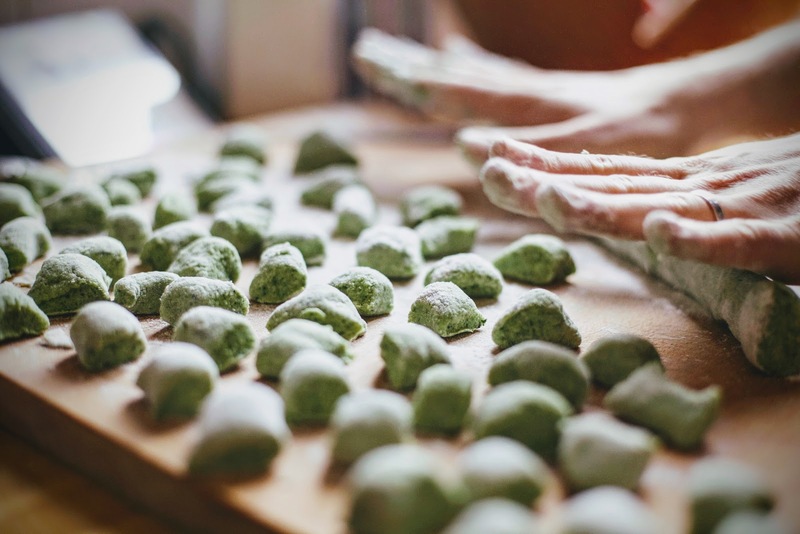 My instant thought was to share the wild garlic gnocchi we made last Spring (before immediately remembering that this food of the gods does not grow in January, sob sob). What do we have in Winter? Root veg. And probably leftover Stilton from Christmas if you overbought at the cheese counter like I did. Inspired by a meal I had at Exeter's The Conservatory Restaurant, we decided to try our hand at mastering these flavours for ourselves. Now before I get to the recipe itself, there are a couple of things to note. 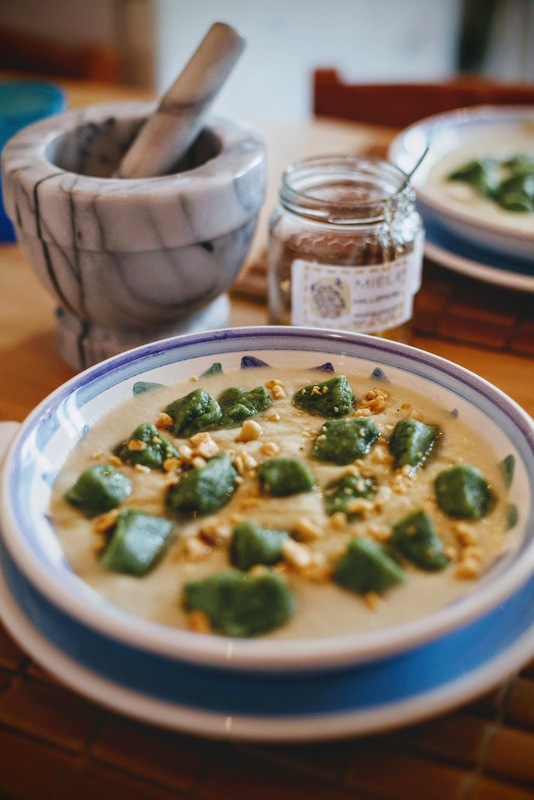 Firstly, we tried this recipe out in Italy (hence the farina and the panna) as I'm currently visiting Michele in Milan (hallelujah I love this city). 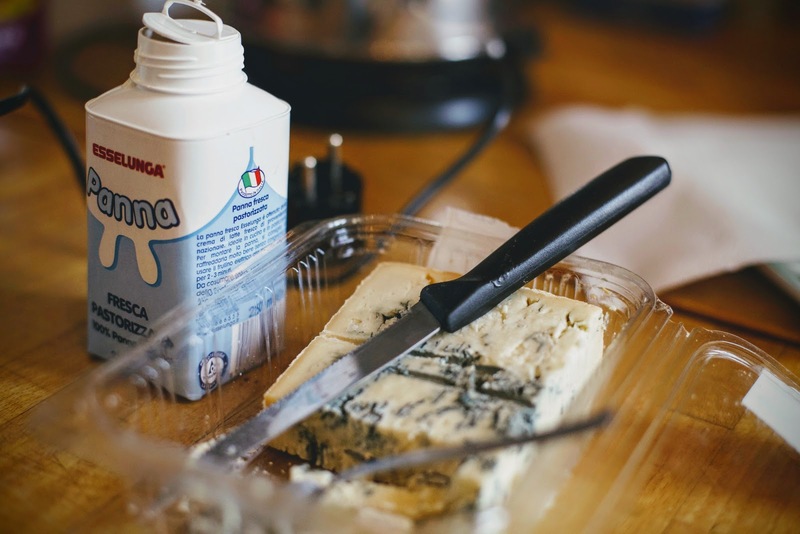 As such, we used Gorgonzola for this recipe rather than Stilton so that we weren't unnecessarily buying imported goods. Both are blue cheeses made with cows milk although to me, Gorgonzola has a slightly more bitter flavour and is a little less salty. 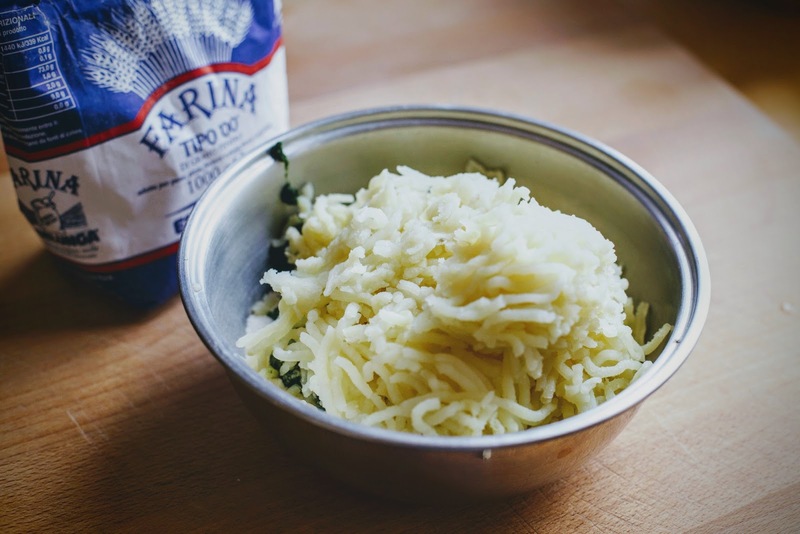 Depending on the cheese you use (and depending on how cheesy you want your gnocchi! ), you may want to alter the quantities we used slightly. Which brings me to my second note - this was a rather experimental recipe and we pretty much just threw things in the pan and adjusted as we went along! I wrote down the rough quantities we used but strongly advise tasting as you go along (this makes the cooking process much more fun, don't you think?) 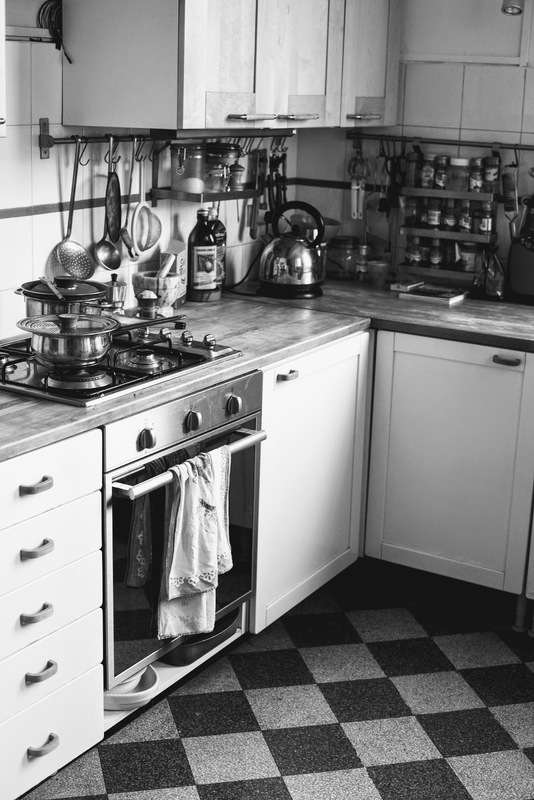 I'm a little bit rubbish at following recipes exactly and tend to play around with ingredients as I go so I heartily encourage you to do the same here! 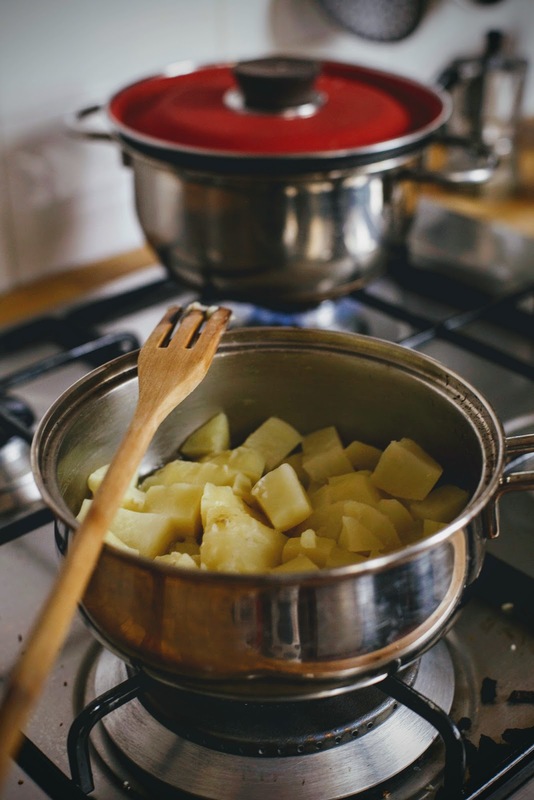 Peel and chop the potatoes into medium-sized chunks and boil them until soft. 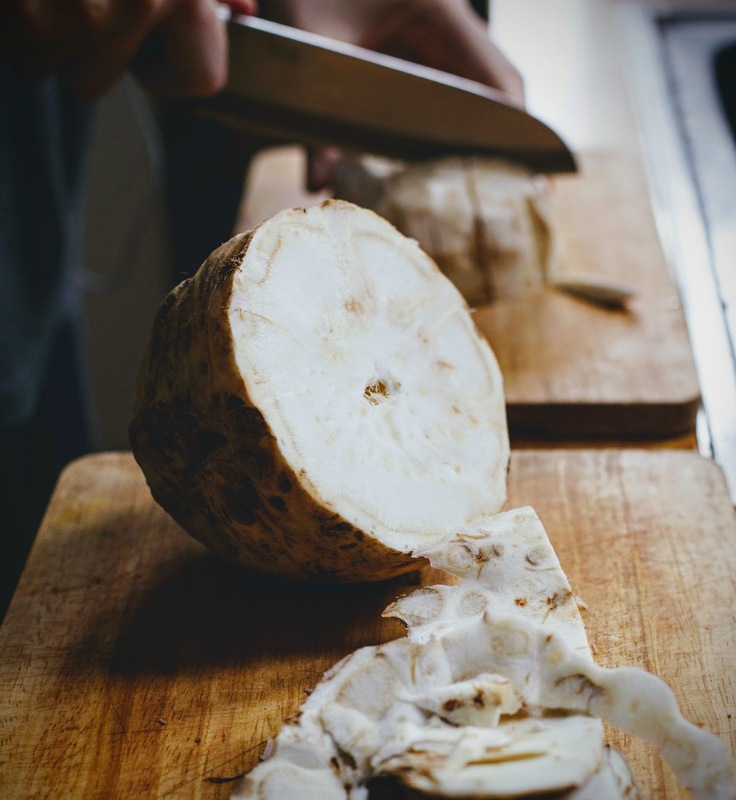 Peel and chop the celeriac into finger-sized chunks and steam them. 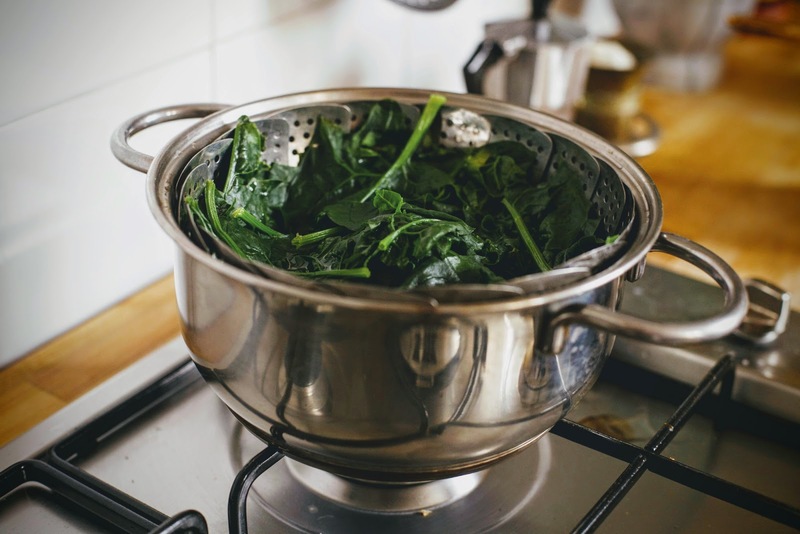 Wash and steam the spinach. 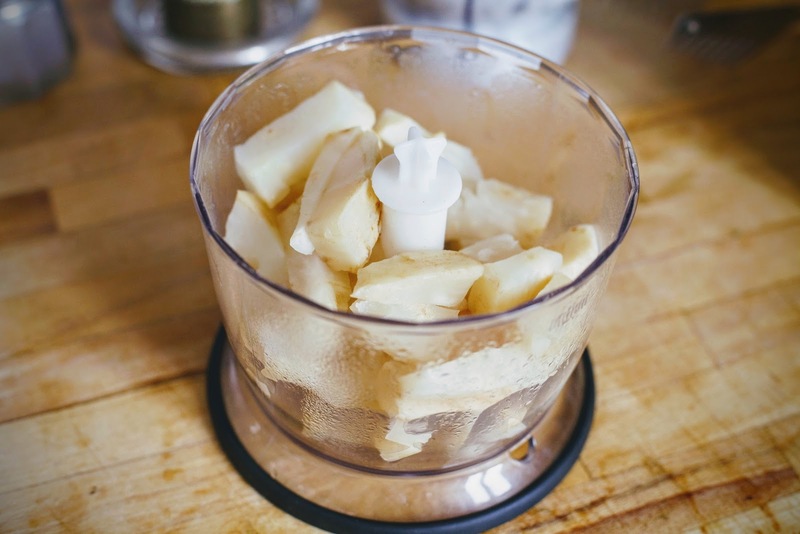 Whilst your potatoes cool, tip your celeriac into a food processor and add half the cream and a splash of water. Blitz until smooth and then add the cheese, broken up into smaller chunks. You might want to add the cheese bit by bit to taste, so grab a spoon! Keep adding cream and/or water until the sauce has the consistency of a thick, creamy soup. 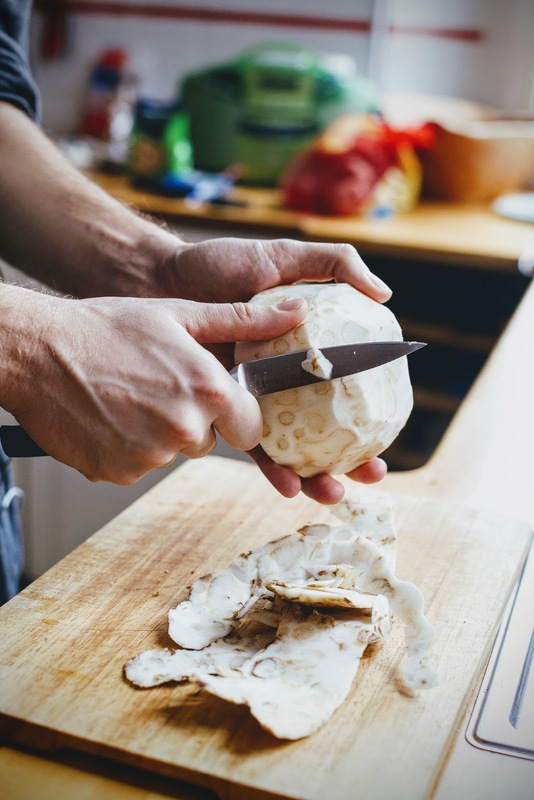 Don't worry if it's not perfectly smooth - we'll pop it in a saucepan and heat it up when we're ready to serve which will get rid of that pulp-like consistency. Crush the hazelnuts and set to one side. 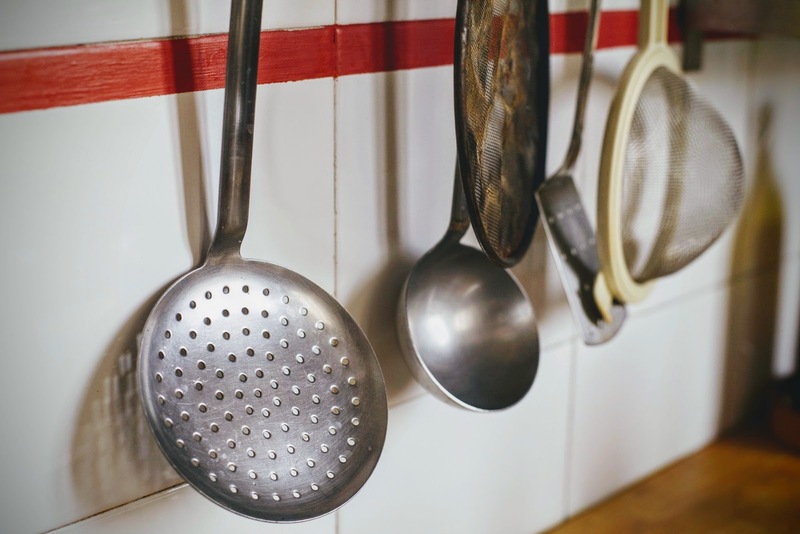 Mash the potatoes or use a potato ricer to do the hard work for you. 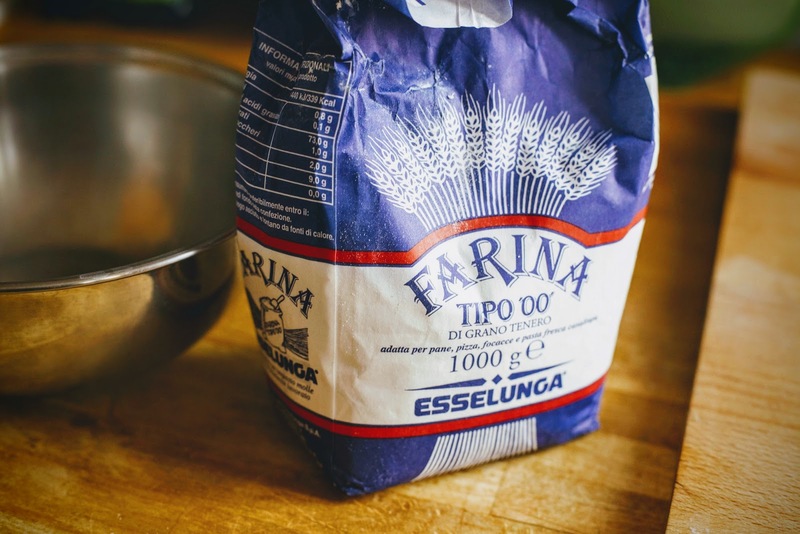 Add to a bowl with the flour. Pop the spinach in a food processor and blitz until smooth. Add it to the bowl with a little salt and pepper and mix with your hands until the ingredients are well combined to form a slightly sticky dough. Put a large pan of water on to boil and add a tablespoon of rock salt. Once it's boiling, turn it down to simmer. 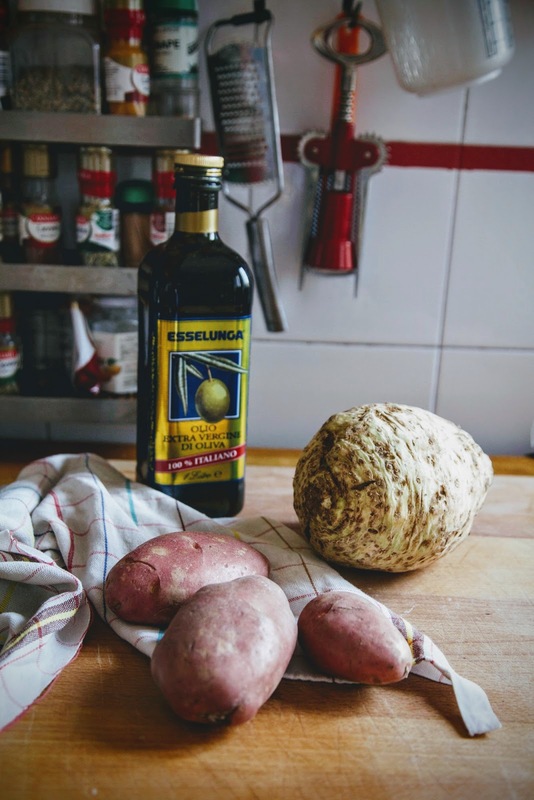 Pour the celeriac sauce into a saucepan and heat gently on a low heat, stirring occasionally until it is smooth and piping hot (but not boiling). 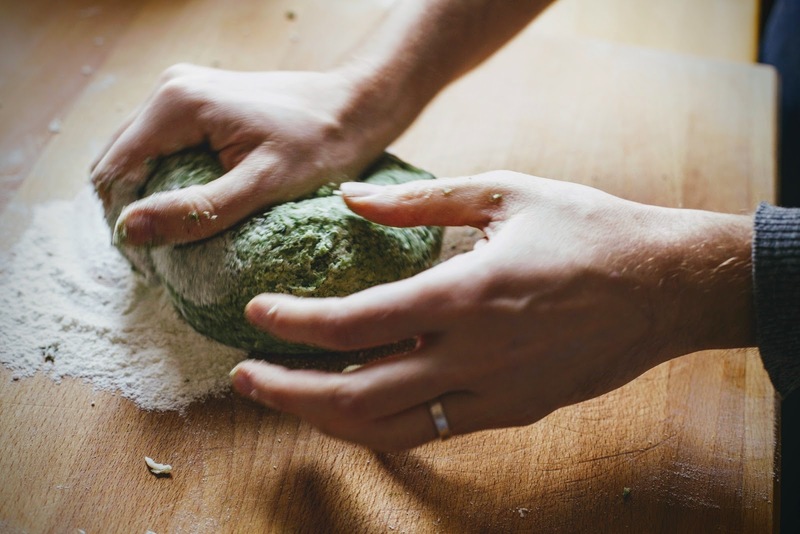 Roll the gnocchi dough into long, thin sausages using your hands. 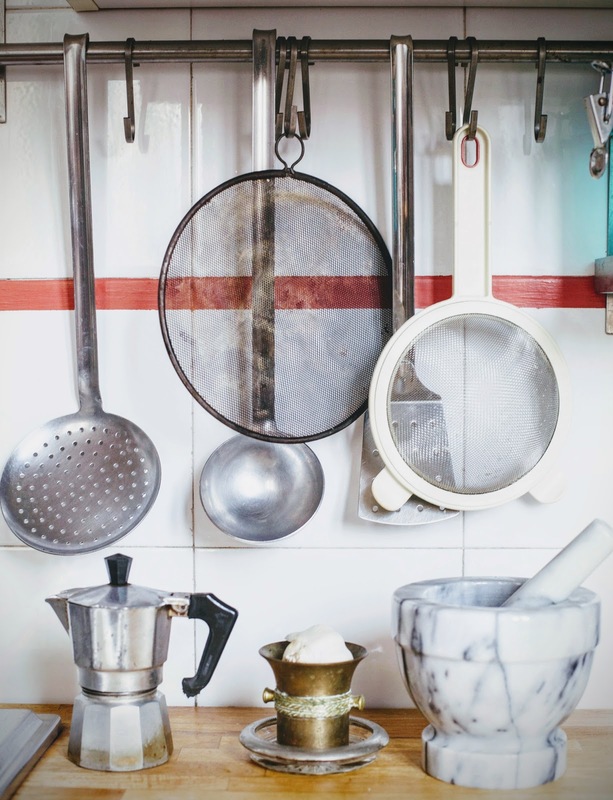 You'll need to cover your hands and the work surface with flour to prevent the dough from sticking. Chop these sausages into small pieces to make your gnocchi! 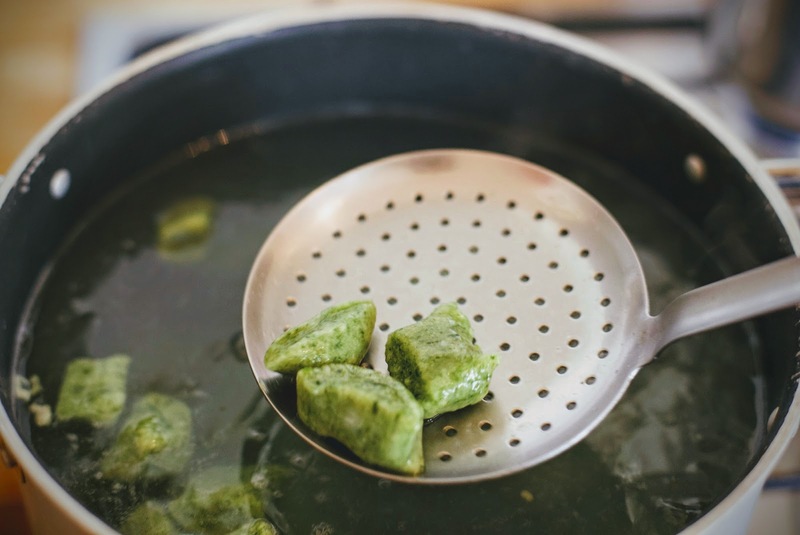 Add the gnocchi to the pan of water, one by one. They're ready to eat as soon as they float, so fish them out as they pop up. 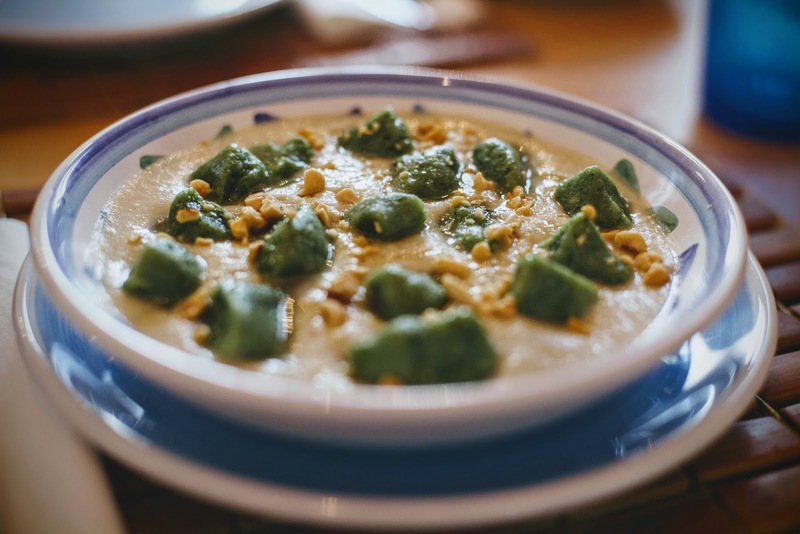 Ladle the sauce into two pasta dishes and arrange the gnocchi on top. Finish with a sprinkling of hazelnuts and a drizzle of honey. So there you have it! The first of (hopefully) many more recipes to come. I really enjoyed the mix of textures and flavours in this dish and the way it's so warming and comforting whilst still containing a decent amount of veg. 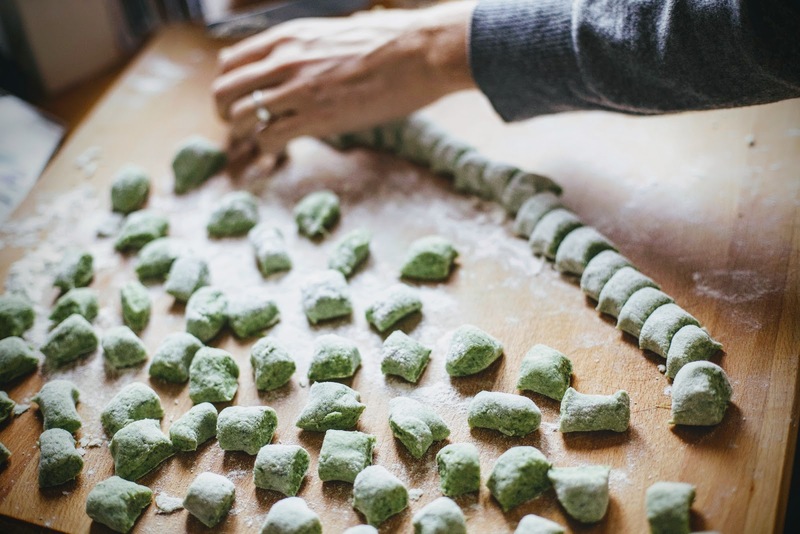 I also think homemade gnocchi are a really easy way to seriously impress dinner guests whilst also being the best kind of leftover to have in the fridge (just fry them up in some salted butter with sage and add parmesan - one of the best meals ever).